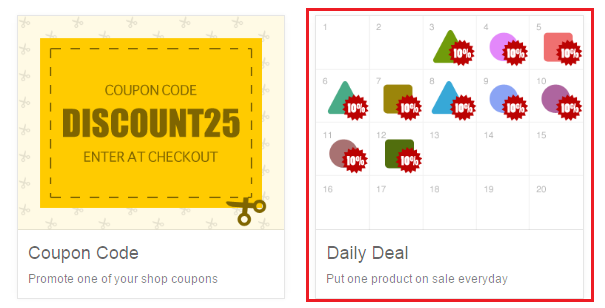 How can I promote a Daily Deal on social media? You can promote a Daily Deal on social media by generating a Marketing Plan. A Marketing Plan is a series of auto-generated social media posts scheduled to go out at your preferred timings. 4. Schedule a Daily Deal following these steps. 5. 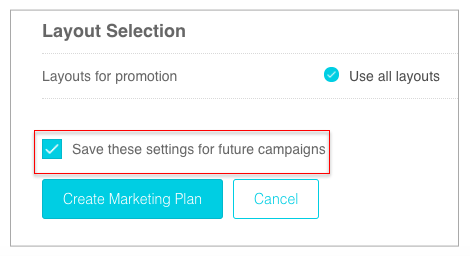 Set the time, frequency, text and layouts for your posts under Social Channel Settings. 6. If you want these settings (time, text, frequency and layouts) for your future campaigns also, check Save these settings for future campaigns. 6. Click on Create Marketing Plan. Review the social media posts and Schedule your Plan.